Withdrawals fail when there is not sufficient available balance in your PayStand escrow account found on your PayStand dashboard. Refunds and disputes can trigger a withdrawal to fail. 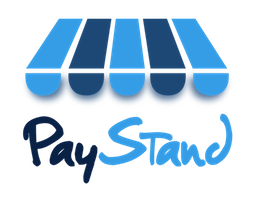 When a refund or dispute occurs, the amount of the refund or dispute is reversed from your PayStand available balance. Therefore, if a withdrawal is in progress at the time a refund or dispute occurs, your PayStand available balance will not contain enough funds for the withdrawal in progress. On Monday at 10 AM, your PayStand available balance is $500. On Monday at 2 PM, a withdrawal is initiated for $500. On Monday at 3 PM, you issue a refund for $100, leaving your available balance at $400. On Wednesday at 2 PM, PayStand's banking partner goes to transfer the $500 to your bank account and sees that there is only $400 available. The withdrawal fails due to insufficient funds. On Wednesday at 9 AM, PayStand's banking partner goes to transfer the $500 to your bank account and sees that there is only $400 available. The withdrawal fails due to insufficient funds. On Wednesday at 10 AM, your PayStand available balance is $400 (assuming no additional payments have been made). On Wednesday at 2 PM, a withdrawal is initiated for $400. On Friday at 2 PM, withdrawn funds are transferred from PayStand banking partner to your bank account. Funds typically settle to your bank account same or next day depending on your bank, any cutoff times or holidays. Most partners are set up with auto withdrawals, where PayStand platform checks available balance daily or weekly and automatically sends instructions to PayStand's banking partner to issue transfer to your attached bank account. Manual withdrawals are also available and the same available balance logic applies should any refunds and disputes occur while the manual withdrawal is processing. Please reach out to support@paystand.com with any further questions. Thank you.